Michael Mammay has served as an active duty US Army officer for the past 25 years, and holds a master’s degree in military history. 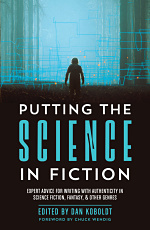 His adult science fiction, PLANETSIDE, was selected for Pitch Wars 2015. You should follow him on Twitter. He would like to thank his friend, Author Morgan Levine, for important contributions to this post. War makes a good source of conflict. Perhaps that’s why so many fantasy novels have war either as a main premise or a backdrop. Even in non-military fantasy like Tolkien we see massive armies colliding. 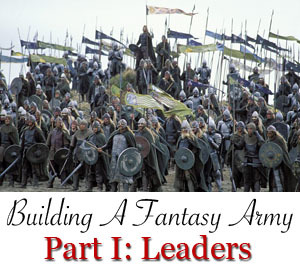 There are any number of ways to build effective leadership for a fantasy army. I’m not going to explore the viability of Tolkien’s military structure, because I don’t want to spontaneously combust into flames for committing fantasy heresy, but this post will explore how to build a realistic army for your society. In my previous post I discussed some of the disruptive effects of adding magic and/or advanced tech to your fighting forces: consider how access to and control of those factors might change not only who is in charge, but what they need to know, how they learn it, and what they do with it. Do your monarchs lead their own fighting forces? If so, it’s important to consider the training inherent in that responsibility. Even in a warrior society where all members of a certain type are trained in either direct combat or tacticsi or both, all societies function on politics. In a culture that revolves around court, religion, institutions of magic, commerce, and formal manners there’s an even higher bar to be an effective leader. Everything takes training, and there are only so many hours in a childhood. The problem expands when you consider the common fantasy trope of a young ruler. Have they had time to learn strategy and tactics for every kind of force they will need to deploy or counter? What about enough fighting skill to protect themselves? Have they earned the respect of their soldiers? What about other leaders, who have perhaps done the job for twenty years? Count on veteran soldiers to ask those questions, even if they’re too afraid to ask out loud. Conversely, the aging ruler raises many of the same questions, in addition to the anxieties around the length of their reign and fitness to guide the society. 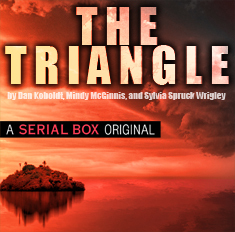 Their successor presents an unknown quantity, even if they’ve been training for the role their whole lives. Distance. In a geographically large society, a ruler could station powerful generals far from the seat of power to deny them direct access to allies within and influence on the centralized power base. An army stationed on the frontier poses less risk to the capital city. A mage on duty far from civilization is no threat to a leader. It doesn’t always work. The Romans likely thought that about Julius Caesar, right up until he crossed the river from Gaul with his army while the other Roman forces were dispersed on other frontiers. Family. Hiring a relative as leader of the army should offer some added level of trust, but it’s no guarantee. While Richard II never led an action against his brother, King Edward IV, he seized the throne from Edward’s young heirs after his death. Richard pressured the church to declare Edwards’ sons bastards, and removed them from the line of succession. Fantasy readers probably recognize that plot as the loose basis for one arc of Game of Thronesii. Hiring generals who don’t inspire loyalty. If a general has no followers, then he or she is not a threat to the ruler. The downside of this is that generals who don’t inspire loyalty in their troops aren’t going to be very good generals. It didn’t work for Hitler. Or Hussein. Or pretty much anybody. Force. Remove the element of choice (through blackmail, economic pressure, control of tech, application of magic) and render the success of direct rebellion somewhere from Pyrrhic to impossible. Neutering your army’s leaders has an effect on their ability (and willingness) to do the job, and also may have an effect on the ruler. Now consider what the outstanding general in these conditions is going to be capable of indirectly. Unless it’s a small army, your general needs some help. How much help depends on the size of the force, but more importantly on the tactics. A traditional medieval army used three battles (big formations): Vanguard, Main, and Rear. The vanguard battle advanced first, and held the forward position on the field. The main battle moved in next, and held the center. The rear battle typically protected the support staff and supply, moving into fighting position last. Each battle followed a single trusted commander with their own mounted knights that may have acted as subordinate leaders as well, but often formed their own autonomous auxiliary force. As your army grows in size, or spreads out, a good rule of thumb is a leader for every formation. If our army fights in one hundred soldier units, your basic command level is the centurion (or whatever you want to call them). If those hundred split up for combat, reconnaissance, occupation, or engineering works, you need someone in charge of each smaller unit answering to your centurion. If you have multiple units in the same place, someone needs to be in charge among them, and how that’s decided is going to vary depending on your underlying culture. 1. Born into it or grew into it by title. In the medieval era, subordinate leaders were almost always vassals of the primary general. Actually picking the person in charge of a task could be based on who brought the most knights or soldiers to the cause, but it wasn’t unheard of to give leadership to a fighter with peer acknowledged skill in battle. Similar to the above, but usually in a non-feudal system. Perhaps a rich person raised their own unit through hiring freelance fighters or training civilians. Perhaps another made handsome donations to an influential senator’s campaign. The idea of appointed positions for military leaders exists in different forms throughout the world today, with differing corruption correlating with cultural norms. 3. Coming up through the ranks. The idea that any soldier can rise to the highest level has a unique appeal, but it would certainly happen only in cultures that pride themselves on equality (eg. : It’s possible in the US to enlist as a private and eventually become a general, for example. It’s not common, but it happens on a fairly regular basis.) The idea of being knighted for actions in battle has a long history, though usually that avenue led only to the lowest level of the nobility. Military academies that train leaders evolved in the 18th century throughout much of Europe (The US followed by establishing the US Military Academy in 1802) so it’s a fairly modern idea (Though the Chinese had some formal schools earlier). You could still incorporate it into an older system, but it would tend to feed a developed, large standing army. In cultures that hold the best fighters in high esteem strength and skill might rule. This would be most typical in smaller units fighting with more varied tactics. The role of the non-commissioned officer in fantasy can be as broad or narrow as the author wants. Remember though: as unit sizes get smaller and more spread out, an army needs leaders at lower and lower levels to lead those micro-units. While Non-commissioned officers have existed in some form for a long time – the Romans formalized a system around 60 BC — the true rise to prominence came in World War II as increased lethality forced units to spread out on the battlefield. The use of leaders at a low level affords an army an opportunity for independent thought and action in the absence of officers. If ten soldiers guard a gate, one of them is probably in charge. That’s your non-commissioned officer, even if you don’t call them that. The first key to any official use of non-commissioned officers in an army is the willingness of the higher leaders to delegate authority. This is a staple of modern western armies, but even today many cultures resist the idea and keep authority centralized. The second key is a class of soldier educated, experienced and disciplined enough to lead others and act in the absence of orders. There are many ways to build effective leadership for a fantasy army. The key factor to keep in mind is that whatever you choose, it should fit the society from which it comes. Centralized leadership of a nation tends to produce a similarly-structured military force. For example, a system where nobility are born into titles does not lend itself easily to a military leadership system based on merit. In Part II, we will explore the soldiers that provide the true combat power of any army. The nature of your leadership in a fantasy army would greatly depend on the lethality of magic and other range weapons. For example, before fire arms, becoming enraged and inspiring a charge at the enemy was most often a winning combination for a leader. However, once firearms arrived the minute motions required for reloading ruled out berserker type of emotions and being ‘calm under fire’ became the winning standard for inspiring troops. So the ‘tech’ of your armies is an important consideration as to the type of leadership needed. While Richard II never led an action against his brother, King Edward IV, he seized the throne from Edward’s young heirs after his death. Think you mean Richard III, there. You are correct. I did mean Richard III. For Fantasy I’m going to assume a basically medieval level of society, if you’re writing fictionalized Rome or post-apoc US, the advice here is fine. However, there’s not going to be NCOs without a standing army and a fairly sophisticated one at that. You’ll have nobles with the troops they raised. Rank is all the authority a rule or leader will need, typically. History is not shy of young military commanders, some do very very well indeed, especially with veteran armies to play with. Nobles are also your subordinate leaders and for the most part, the lower ranks aren’t going to kick too much given normal treatment. Typically in most fantasy, the Enlightenment and the modern way of thought hasn’t been created. when will Part 2 get published?